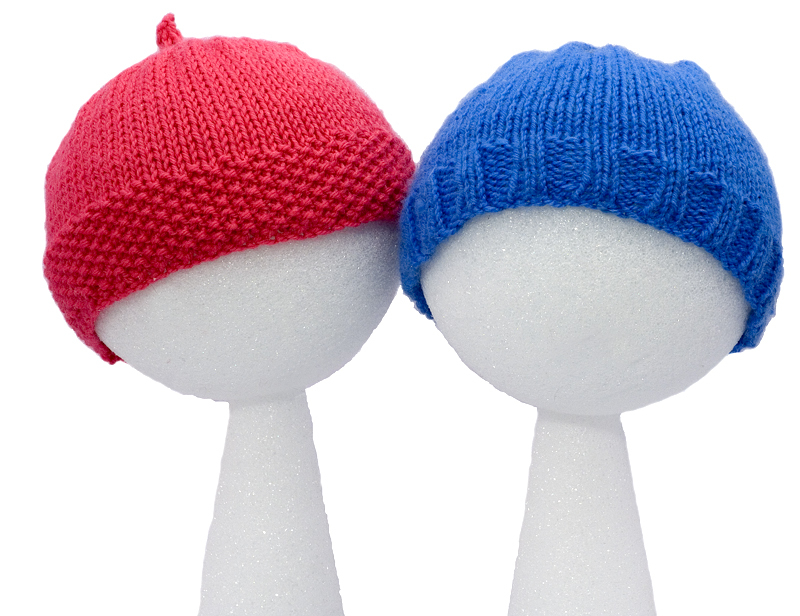 These neat and stylish caps come in two styles— with a seed stitch border or a simple ribbed border. This easy-to-knit child's cardigan comes with two edging options — a pretty seed stitch edge or a classic rib. Both look great and knit up quickly.